Truncated thoughts: Fact of the day:Toblerone package approved by Einstein? Fact of the day:Toblerone package approved by Einstein? I spy a Toblerone packet from the early 1930s and am amazed that it looks no different from the ones in the shops today. 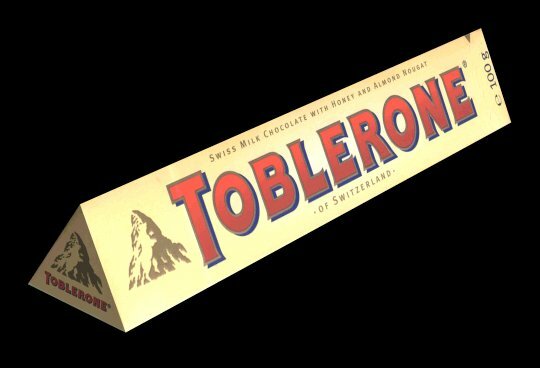 "Albert Einstein was working in the Patent Office when the patent for Toblerone came in," Neil tells me. "We don't know for certain but it's not impossible that it was Einstein who approved it." However, Einstein’s specialty was electromechanical devices, so it seems unlikely.